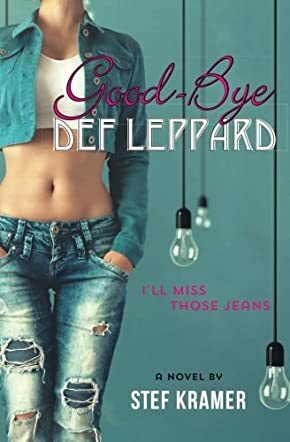 Good-Bye Def Leppard: I'll Miss Those Jeans by Stef Kramer is the story of Amy Gaer, a small-town girl with big dreams. She is at a crossroads in her life and decides that returning to her home town to work is the perfect way to decide what happens next in her life. Music and literature are her passions, but she finds her new job in a bank is also fulfilling and could influence her future plans. A run-in with her ex-boyfriend convinces her that Fox Plains is not the place to seek a romantic attachment, at least that is until she meets Nick. His baseball uniform only highlights his classic good looks and Amy is definitely interested, especially when she finds out he works for her dad. What could be better than a family connection? However, as with all classic love stories, there are obstacles to overcome. Will love conquer all or will Amy follow her career path that leads away from Nick? I loved this book! Amy is the epitome of a modern woman who must decide the path her life takes while considering all her options. Her mother shamelessly pushes her to pursue a law degree, while her best friend Jean wants her to move to Chicago and join her there. Nick, however, refuses to influence her decisions and says she must decide her future without considering him. Good-Bye Def Leppard is beautifully written and describes the early nineties culture perfectly. Stef Kramer writes her characters so they jump off the page and into your mind. Amy’s gran was a particular favorite of mine with her tattoos and her trailer in the woods. A great read and I look forward to discovering more works by the same author.